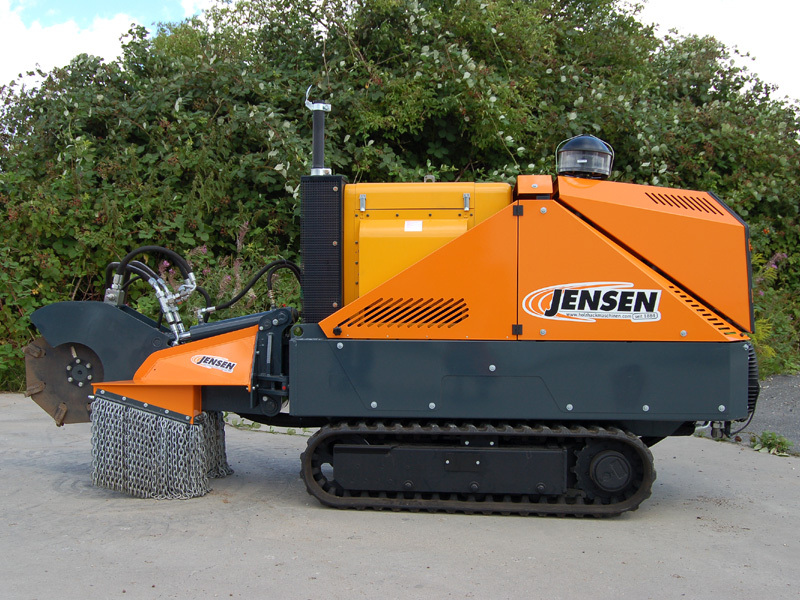 Robust and versatile, Jensen stump grinders offer the ability to cut through large stumps quickly and easily. 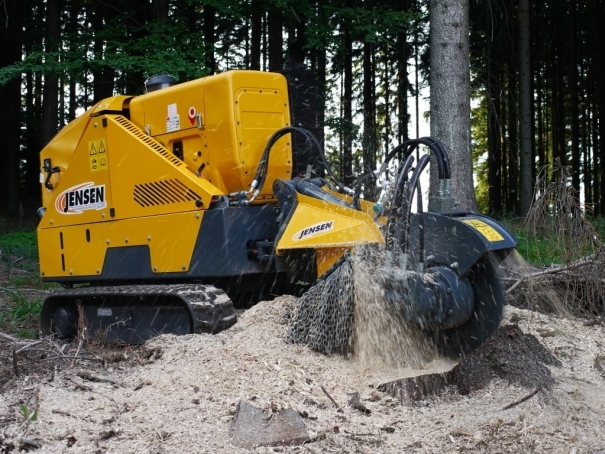 Jensen stump grinders are unique to the market with a winning combination of extra cutting tips on the wheel along with a good distance between the teeth. A single bolt holds the teeth in place, undone with a hex key to make changing and replacing quick and simple for all users. Not only that, the teeth can only be fitted one way and require no special adjustment, reducing the margin for error in fitting and ensuring perfect set up every time. Fully hydraulic, our stump grinders move on a hydraulically adjustable tracks and are fully radio remote controlled. The cutting area of the SCX50D is approximately 360mm over and 400mm under the stump and the SCX70D is approx 300 mm over and 580mm under the stump. With a swing arc of 1650mm the cutter wheels have the capacity to process large root stocks.